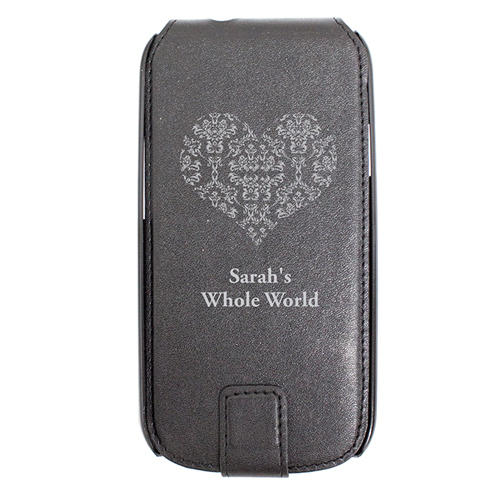 Personalise this Samsung Galaxy S3 Damask Heart Case with 2 lines up to 15 characters per line. Protect your phone from scratches and impacts with this stylish leather-look case. It is easy to fit and all of the phone functions remain accessible. With a soft rubberised outer finish and strong plastic inner, it provides optimum protection for your phone.